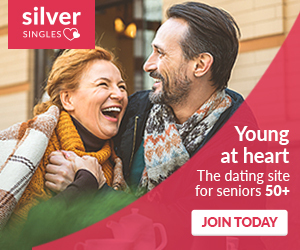 Mate1.com is one of the classiest online dating platforms. This site has managed to achieve an excellent balance between innovation and simple convenience, through a combination of high-tech features and a basic interface. 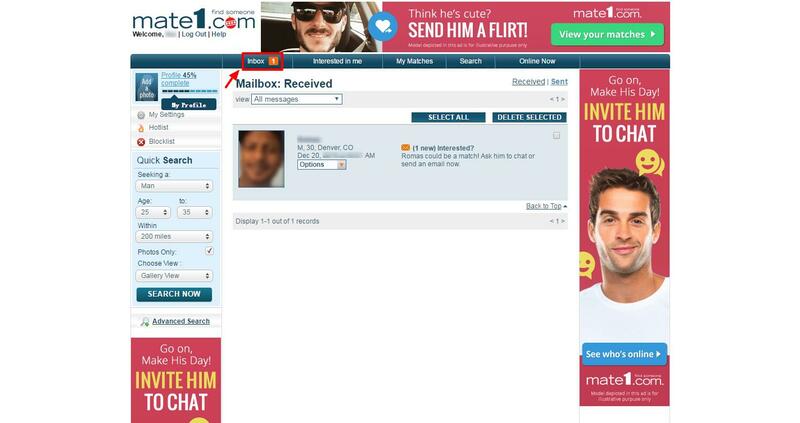 Mate1 altered the game in 2003, when it set out to offer an easy online dating site, to the biggest audience. One might ask how they managed to achieve this! The answer is simple. 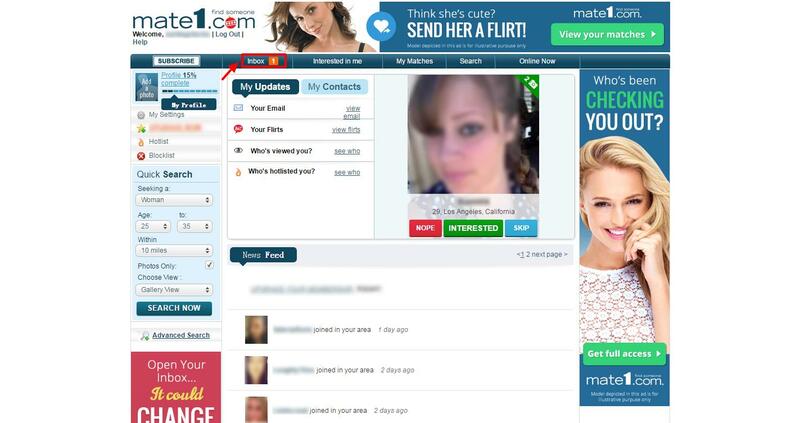 Mate1 offered free registration and total membership to all female users (which clearly attracted a huge male following), and then offered a website that was easy to navigate, simple to use, and possible matches that could be found very quickly. 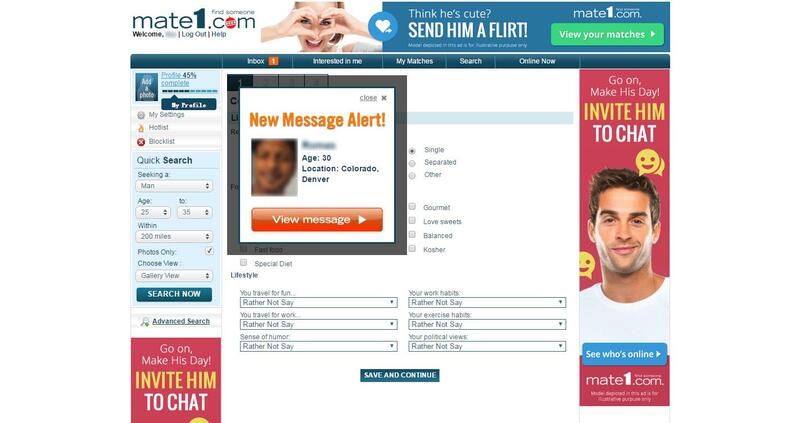 As a strategy, this was successful, as it has made Mate1 very popular, which now has one of the largest and widest group of users online in terms of dating. Elizabeth Wasserman, CEO for Mate1, together with her team, is equally remarkable, and she has a warm attitude and exceptional dedication to constantly improve on the services aimed at the needs and desires of singles across the globe. This is why Mate1 has more than thirty million members. Signing up to use Mate1 is very easy. When you first register, you will be asked to open an account and provide your preferences. 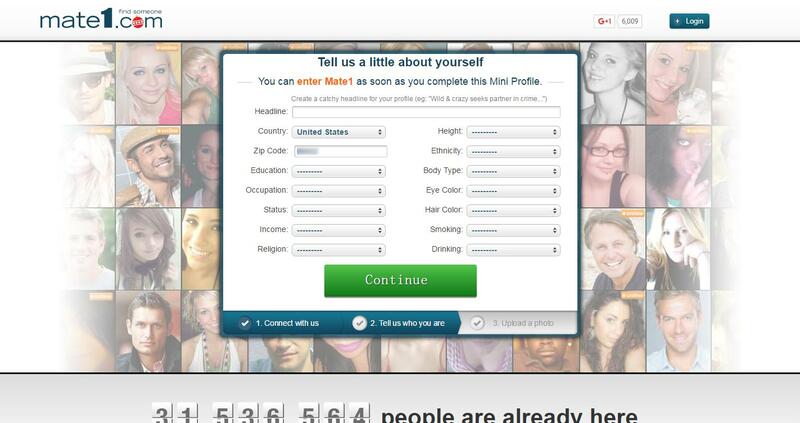 The form is simple and asks basic questions, such as whether you are a ‘man looking for a woman’, for example. Simple details such as eye color, education, age, smoking/non-smoking, body type, and so on, are asked. 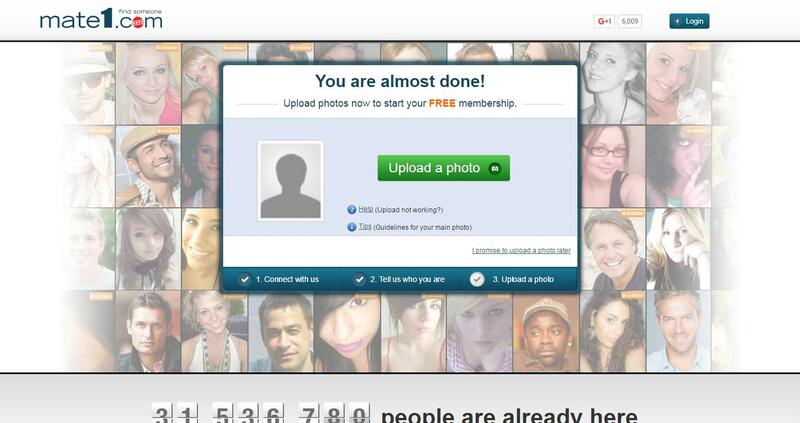 Members can then include 20 images and will be ready to begin their online search. They can also then complete their profile, which is the best way to let other members know more about who you are, which includes an original section where favorite and less favorite items can be listed. This is very helpful, as it narrows the search limits, and members can also connect via their Facebook profiles. Those individuals who have done a lot of online dating, will see that Mate1 has features that are familiar, which will be welcomed. One example of this is that members can chat via private messaging, or use the ‘hi’ feature, or even, instant char, a ‘flirt’, or a ‘wink’. These features have however been improved on by Mate1, using a creative stance by developing a voice profile for members to introduce themselves with. 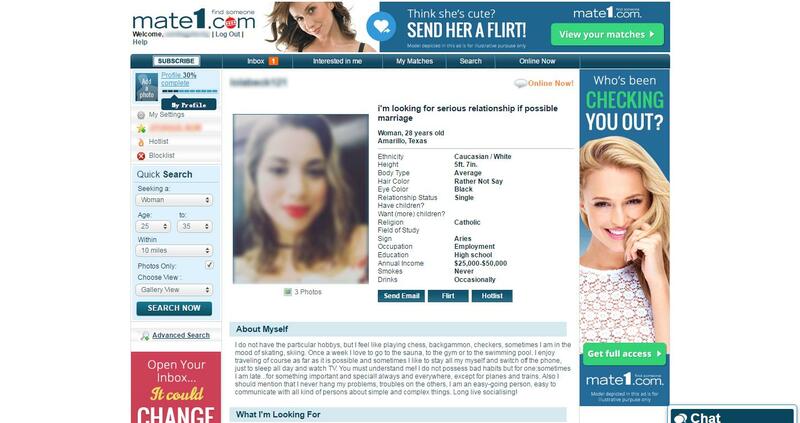 Very compatible matches are made on Mate1, by using the information provided at registration, which is also visible on member profiles. The option is also available to say ‘Yes’, ‘No’, and ‘Skip’ to any matches presented. Mate1’s system also tells members whether the attraction is mutual, when both members have selected the ‘Yes’ option. Members can use the basic search function to filter their browsing by images, online status, age, or location. The advanced search option has additional key words, such as occupation, lifestyle, and background. Match Organization: Your best matches can be included in the ‘Hotlist’, and members can check to see who else is online, who has viewed their profile, or who has put you on their ‘hotlist’, or flirted with you. Voice Profile: This feature is a very unique way that members can use to connect to others, by recording a voice message and sending it to a favorite member. Which helps members get to know one another better. Flirt: This is an online, virtual wink, which is Mate1’s unique way of allowing members to show an interest in those whom they find attractive. Members can just select the flirt button, and also select a pre-created message to send to others. 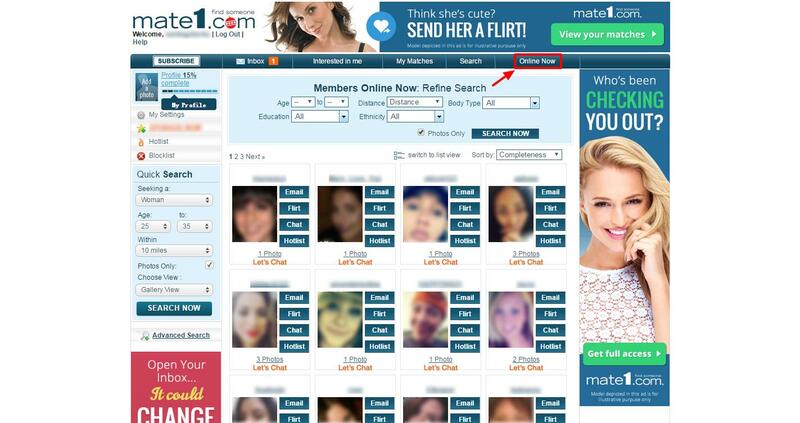 Live Chat: This feature offers members the chance to chat in real-time. Recent Activity: Here, members can see who has recently joined the site from their area. Active Facebook: Mate1 has something in common with Facebook, as it provides for ‘Likes’, and has some 127,000+ of these, together with a fun feed which is updating continuously with topics about life and dating in the modern era. iOS and Android phones can use the Mate1 app, which is very user-friendly, and assists busy singles to find a date, while on the go. Because mobile users are at least five times more active than desktop users, they have more access to instant message other members. This is particularly true as 60% of new members use their app to engage with the site from their mobiles, while 80% of new users reach the site through their mobile app. 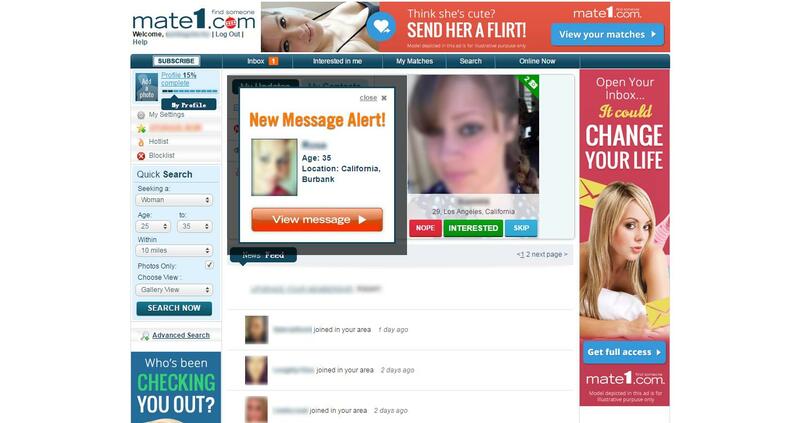 Some individuals are nervous about dating online, which is understandable, since they have a concern that their private information, may be misused. There is no need to be concerned as Mate1’s website makes use of encryption, so that private information remains private. Important to know, is that members can also just select an option to block another member from further interaction, if they are not comfortable with their attentions. 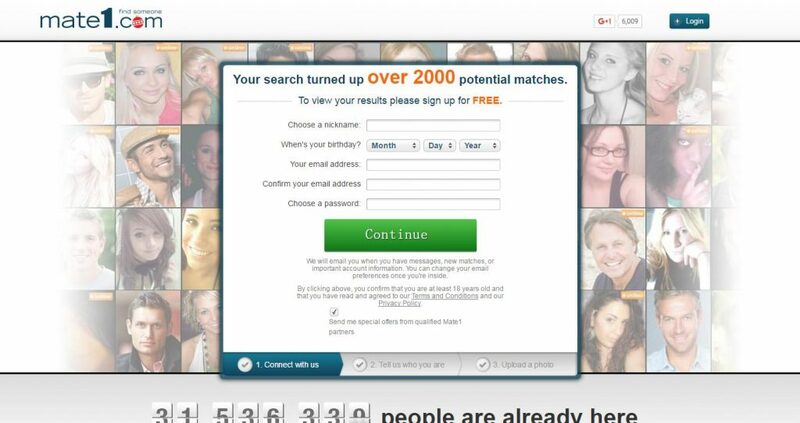 If members require any more tips, a page on the site offers comprehensive advice about dating online. 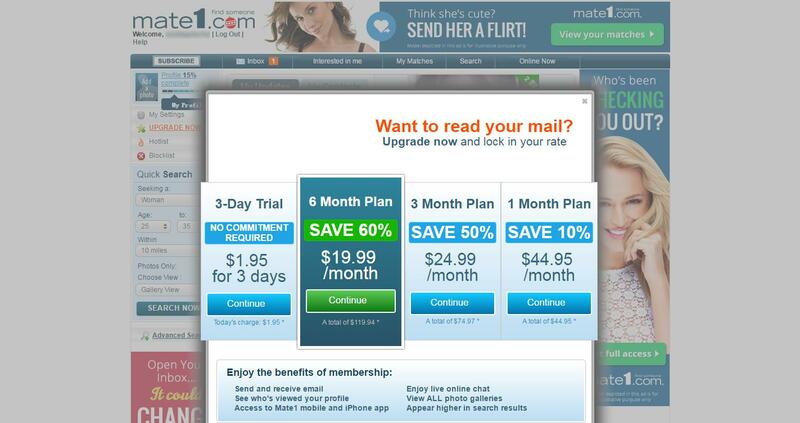 Female members do not have to pay any subscriptions to use the site, as they have full use of its features, free of any charges. 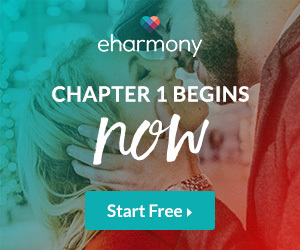 Men may also use the site for free, but their options will be seriously limited and they will not be able to contact other members directly. 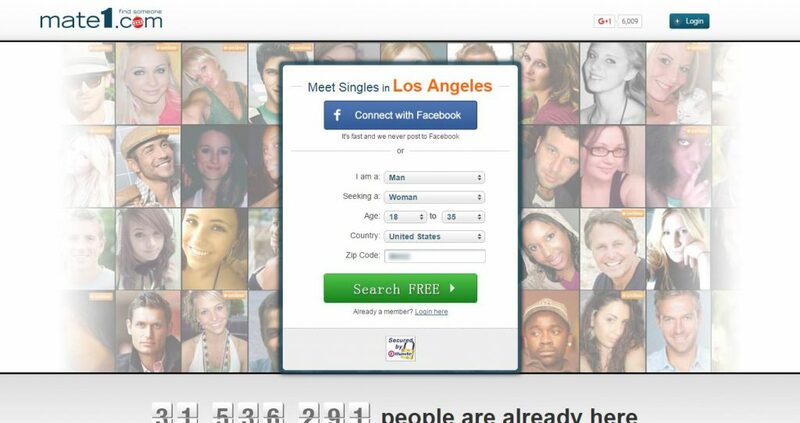 They will also not be able to see who has looked at their profiles. The FAQ is a very useful section where members can find answers. This section offers answers to questions that are asked often, and should members not be able to find what they are looking for, they are welcome to email Customer Support for help, or contact support services through any of the contact details available at the end of the page. Customer support will try their level best to ensure they respond within a 48-hour period. 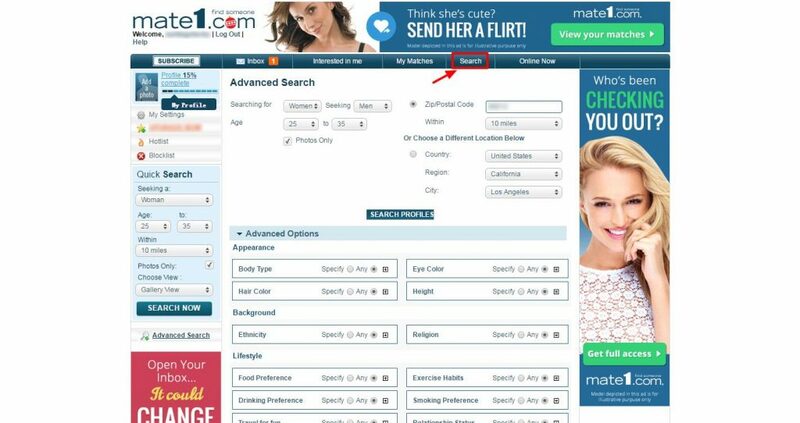 If you like Mate1 but aren't sure whether it's the best ideal choice for you, and may want to compare Mate1 with other online dating sites. You can take a look at our online dating sites comparisons below to discover if one of their competitors is more suitable for you.